The types of ecosystems on Earth range from wet to dry, cold to hot. They include rainforest, grassland, savanna, tundra, desert, estuary, taiga, prairie, freshwater lake, river, ocean, swamp, boreal forest, etc. The Earth is a relatively large space that holds countless living and nonliving features. When we try to understand the Earth and what it is comprised of, we break it into pieces and study those pieces. The ecosystems are one such way of understanding the Earth as we break down the different environments of the Earth into relatively unique pieces. Researchers study these pieces to understand things like biodiversity, land diversity, and conservation among many other areas. An ecosystem is an interaction between living components and nonliving components to form a complex and relatively defined area. Many ecosystems blur into each other and there are not usually clear boundaries between them. However, humans do create these boundaries for the sake of study and understanding. Like how we classify living things, with domains, classes, species, etc…, we also can consider ecosystems to be something similar. There are two main ecosystems that all other ecosystems fall under terrestrial ecosystem and aquatic ecosystem. Sometimes, we consider three main ecosystems where aquatic is broken into the freshwater and marine ecosystem. Also, some consider the aerial environment to be an ecosystem, but that cannot be clearly defined because it interacts with almost all other ecosystems in some fashion. 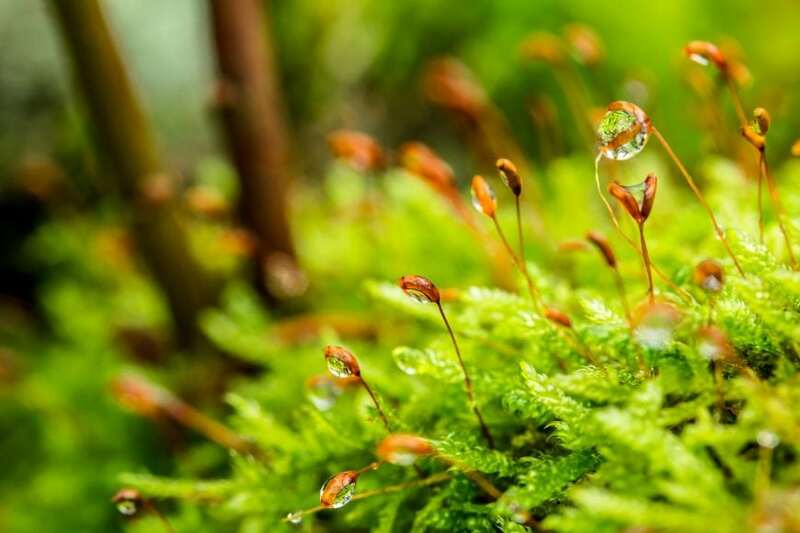 Terrestrial ecosystems sometimes referred to as biomes, are found across the different continents of the Earth and can be defined in a variety of ways. While there are many kinds, they can all be placed in four main types. Forest ecosystems come in a variety of ranges that includes tropical dry forests, tropical rainforests, temperate forests, and boreal forests (which includes taiga and coniferous ecosystems. These forests are defined by the climate that they face: temperate, tropical, and boreal. Temperate forests are found in regions that experience winter–summer change of seasons. These forests are comprised of trees that typically lose their leaves during the colder months and regain them again during the warmer months. Trees in these forests can also be coniferous, which do not drop their leaves or a combination of the two. Tropical forests are found in regions that are generally warm and experience heavy moisture levels. Trees in these areas generally grow tall and filled with leaves. These forests are dense as roots extend throughout the soil. Boreal forests are found in regions that have colder temperatures. They usually experience short summers and long winters, with temperatures remaining cold. The trees found in these regions are usually coniferous, like evergreens, as they are more adept at dealing with the cold. While noted for their dunes of sand and high temperatures, deserts are generally defined as areas that receive less than 25 cm (10 in) of precipitation per year. The lack of water is the main factor in determining whether an area will be a desert. Deserts are also known to be very windy. Since temperature is not a primary factor of deserts, they can be found throughout the world in cold or hot environments. The limited water can come from rain, snow, or any other means of precipitation. Places like the Sahara Desert are frequently hot, but places like the Gobi Desert can face extremely low temperatures during winter months. Given the harshness of a desert, it is easy to assume that life cannot thrive there. However, many flora and fauna can be found on or below the deserts of the world as they have become adapted to the harsh life. Grasslands ecosystem include prairies, steppes, and savannahs. Grasslands are distributed throughout the world in temperate and tropical regions. Like deserts, grasslands are defined mainly by the amount of water that is available. Grasslands typically see about 10 to 30 inches of precipitation every year. This means that they can also exist in colder regions, like the Siberian steppe. Grasslands are noted for the large amounts of grass, ranging from 60 to 90% coverage, that covers the area. There are few trees that are spread out across the ecosystem. For many grasslands, fires help to keep trees from overtaking the area. Flowering plants are interspersed across the grassland. These ecosystems are known for the herding and grazing animals that use them for food. These animals help to supply fertilizer as well as stem the growth of more trees as they graze across the ecosystem. Tundras are ecosystems that are generally found north of the boreal forests. These regions are known for the cold as they have mostly frozen subsurface soil and permafrost. They lack trees and vegetation grow short and only when enough of the topsoil has thawed. Tundras have a similar level of precipitation as deserts. Organisms that live in this ecosystem are highly adapted to the harsh cold. They include things like raindeers, snow owls, and geese. You will not find any reptiles in this region. Tundras found in mountainous regions are generally referred to as alpine tundras. Organisms that live here are generally migratory as they move the alpine tundras during warmer times and leave when it gets cold. The aquatic ecosystems represent the ecosystems the lives in the world’s waters. They can be broken into two main categories: marine ecosystems and freshwater ecosystems. Aquatic ecosystems are shaped by important factors that include the amount of sunlight different regions receive, the water depth, water temperature, amount of salt, and what is the bottom substrate. Marine ecosystems have a high level of salt and comprise the many oceans of the world and other bodies of saltwater. Because of the biodiversity and size of marine ecosystems, they are the most abundant ecosystems found in the world. The pelagic marine ecosystem represents the open ocean where marine life swims freely or float. They are not attached to the bottom or any surfaces. These can be things like plankton or whales. Benthic marine ecosystems represent the bottom of the ocean where organisms are attached to something or very close to the bottom. These can include corals or mangroves regions, each of which comprises an ecosystem of their own. These two sub-ecosystems have further subsequent ecosystems that are defined by many of the listed factors above. Freshwater ecosystems have a very low salt content compared to the marine ecosystem. They are generally represented as lakes, ponds, rivers, and anywhere else one might find freshwater sources. Like the marine ecosystem, freshwater ecosystems can be divided into two areas: stationary waters, like lakes, and flowing water, like lakes. Along with fish, freshwater ecosystems also have insects, amphibians, algae, and other plants that distinguish them from marine ecosystems. Estuaries are a special ecosystem because they are ecosystems where freshwater meets saltwater. This ecosystem contains organisms that are capable of surviving in this chaotic environment. Previous Post« Previous Can You Name The Parts Of A Human Leg?